Pak Army invited applications for Junior Commissioned Officer and Soldier from the eligible candidates. Applicants for soldier's post can also apply conventionally by hand through following recruitment centers all over Pakistan. 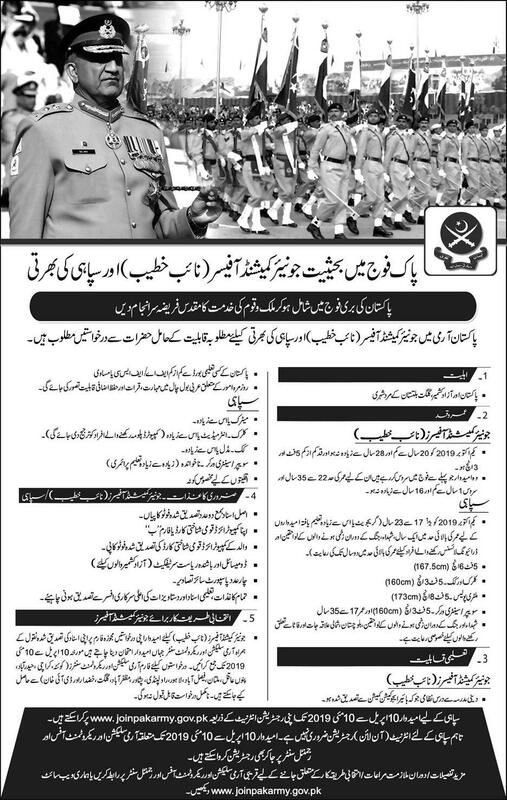 Application forms are available in all these mentioned Army Selection and Recruitment Centres from 10 April to 10 May 2019. For your assistance, an image is given below.